Situated in Carrara, this bed & breakfast is 0.6 mi (1 km) from Palm Meadows Golf Course and within 3 mi (5 km) of Lakelands Golf Club and Surfers Paradise Golf Club. 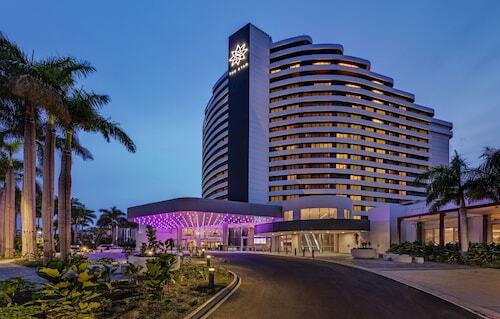 Pacific Fair Shopping Centre and Gold Coast Convention and Exhibition Centre are also within 6 mi (10 km). 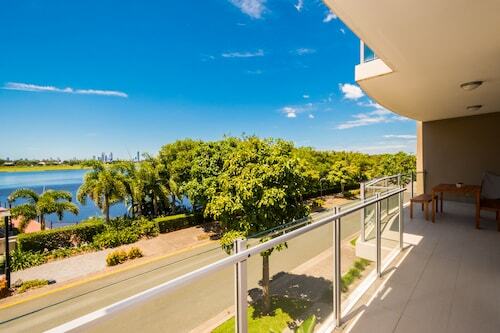 Situated in Carrara, this apartment building is within a 15-minute walk of Emerald Lakes Golf Club and Metricon Stadium. Carrara Sports Complex and Carrara Gardens Golf Course are also within 2 mi (3 km). 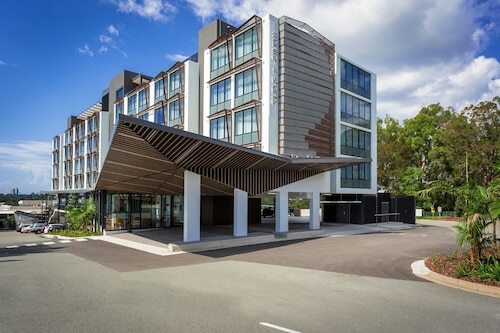 For a Gold Coast holiday that's a little more laidback than the glitz and glam of Surfers Paradise, look no further than our Carrara/Palm Meadows hotels. Carrara is famous for its Palm Meadows Golf Course, the Gold Coast's first golf resort. But did you know that Carrara is actually home to two other golf courses as well? And golf isn't the only sport that Carrara is famous for. The Metricon Stadium, home of the Gold Coast Suns AFL club, regularly hosts popular football events. If that wasn't enough, another of the town's claims to fame is the Carrara Markets, the Gold Coast's largest markets. They are open every Saturday and Sunday, with over 500 stalls, Family Fun Lane (with plenty of face painting, clowns, balloon artists and rides) and Luke's Reptile Kingdom. At the markets, you can pick up fresh produce, clothing, accessories and home wares at bargain prices. King Tutt's Putt Putt is also within the Carrara Markets' grounds, but this mini golf centre is open every day of the week. Once you've kept the kids (adult-sized kids and littlies) entertained with the mini golf course, you might like to head down to the local Go Kart centre for some more fun. On the other hand, if you want to take to the skies, take a hot air balloon flight over the city. 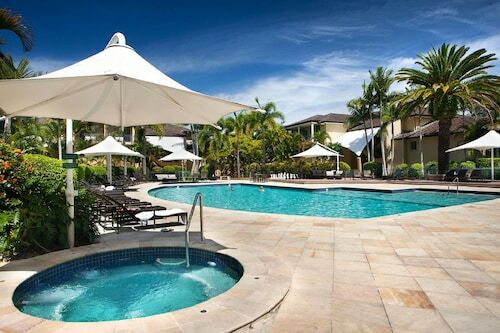 Carrara is only 20 minutes from the Coolangatta airport. Getting around Carrara, and indeed, most of the Gold Coast region, is easy with the great public transport system. 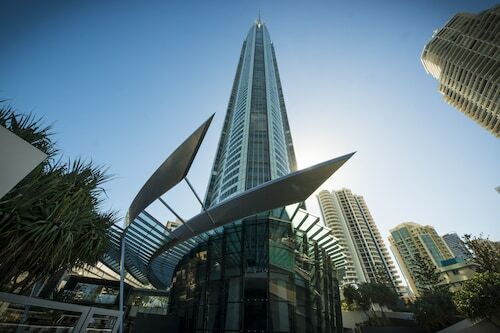 Carrara is only 10km from Surfers Paradise, where you'll find plenty of entertainment, dining and nightlife options. Carrara is also only 10km from Sea World, 12km from Warner Bros. Movie World, and 16km from Dreamworld, so you're bound to have a good time here. Get in quick and book your flights to the Gold Coast, as well as your Carrara/Palm Meadows accommodation. How Much is a Hotel Room in Carrara? Hotels in Carrara start at AU$100 per night. Prices and availability subject to change. Additional terms may apply.